Worked as planner and silviculture forester at AFRF for 2.5 years prior to becoming manager in 2018. 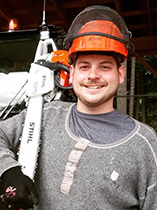 Trained in forest management and analysis in British Columbia and Quebec, and has over 10 years in experience as a forestry consultant in BC. Offers a diverse suite of knowledge and experience in forestry, tourism, and academia. Joined AFRF in 2001 and has practiced applied biology with a focus on forest ecology and wildlife, as well as extension since 1995. Experienced with field-based research and monitoring project implementation, measurements and reporting. Extensive familiarity with the biology of terrestrial vertebrates and vegetation, including invasive species. Effectively communicates with both technical and general audiences. More than thirty years of experience in forestry operations (at AFRF since 1994), with particular strength in road construction and maintenance, forest health issues, harvest contract administration and fire fighting and fuel management. Experience with logging contractors and market logging directly translates to new harvest methods and products. In the role of Manager of Administration since 2015, Kylie has over a decade of administrative experience. 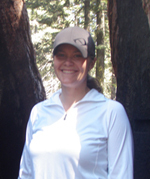 She is responsible for all aspects of administration at the Alex Fraser Research Forest, including financial, physical & human resources.